Whew! It is that time of year again with tax returns being filed. Many have done theirs by now, some are still working on it, and some have not yet begun. Many will file their taxes online themselves, some have financial advisors they use, others will use pubic accountants, and so on. 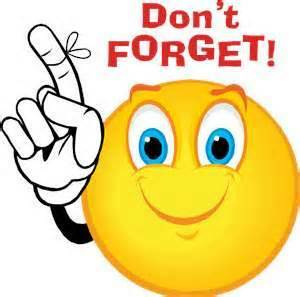 Whatever you do, however you do it, this is a friendly reminder that the last day to have taxes filed is a week from today on Monday, April 15, 2013. That is the deadline for the Federal Taxes. There are some states that have no state tax, some states the state tax is due by April 15th also, and other states go beyond April 15th for the state taxes being due. If you are in Iowa, they are due by April 30th. I know it can be a dreadful time of year with the tax changes being made, and everyone trying to turn in everything they can that counts, and will help. Hope everyone is getting along okay with your taxes, have them done, or have them in the works of being done. Friendly reminder that they are due by Monday, April 15, 2013. Good luck to everyone with their filings. 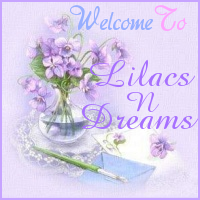 Thanks for stopping by LilacsNDreams today. 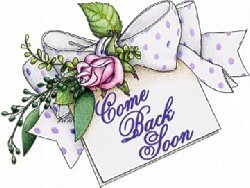 Hope to see you again soon. Take care, and good luck with your taxes.